You are here: Home / Articles / Should You Move Your Furniture or Buy New? What condition is your furniture in? If your old furniture has seen better days, there’s no point in trucking it to your new home only to replace it a year or two later. On the other hand, if it’s in tip-top condition, you’ll most likely want to expense moving it. Is it comfortable and durable? There’s something to be said for the perfect couch that’s just as comfortable as it is durable. If you have furniture that you can’t imagine yourself finding something better, keep it. Most importantly, you’ll want to make sure your old furniture can fit in your new home, both aesthetically and physically. Measure the doors and the available space in your new home, as well as your furniture, to make sure that they can not only fit through the doorframe of your new home, but that it can also fit in the room itself. You’ll also want to make certain that it fits aesthetically with your new home. If you had a dark, moody vibe before and now you’re moving into a bright, airy home, you may want to ditch your old furniture and start over. Weigh the sentimental value of your furniture. If it’s an old family heirloom passed down generations, it might be worth it to pay to have it moved. Is it too fragile to move? As with any move, you want to consider if the piece will hold up in the moving process. If you’re moving down the street this may not be too big of a deal, but if you’d have to ship it across country, that’s a different story altogether. If your item is too large, heavy or awkwardly shaped, it may be too difficult to be shipped. This is especially prominent with antique items, as they are often more delicate and fragile. The distance of the move is another big factor to consider. If you’re moving locally, it’s probably easier to keep your old furniture as the cost of moving it will be a lot lower. If you’re moving across the country, the moving cost will depend on the size and weight of your items. Meaning, the more you have, the more expensive it will be. Typically in this situation, it’s easier to part with your old furniture and purchase new furniture when you get to your new city. You can always browse popular sites like Amazon, Wayfair and IKEA to add up the cost of purchasing new furniture and weigh it against the cost of shipping your old items. Is your item a specialty item? Furniture like a baby grand piano or a grandfather clock that cannot be taken apart will have to take special care when moving it. This will make the cost to move it a lot higher. Oftentimes items like this aren’t able to fit through doorways, so qualified movers have to hoist the items in through balconies or windows. In this situation, you’ll want to consider the cost of doing this as well as the delicacy of the item you’re moving. If the cost is too high, consider donating it or giving it to another family member to keep safe. 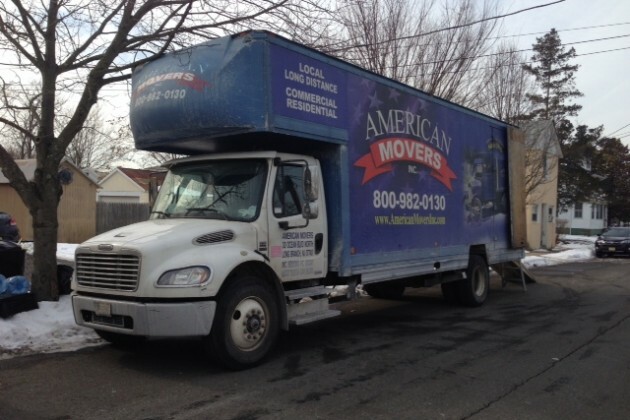 Can you afford the cost of moving it? The cost to move furniture is typically the make or break factor in the decision process. Check with top-rated, cost-efficient moving companies in your area to infer about the cost of moving your old furniture to your new home. Make sure the moving company surveys your home, including any specialty items that you have, so that they can give you a proper estimate. Packing Supplies Checklist What Happens If My Movers Break Something?